Namely is the first HR platform that employees actually love to use. Namely’s award-winning, powerful, easy-to-use technology allows companies to handle all of their HR, payroll, time management, and benefits in one place. Coupled with dedicated account support, every Namely client gets the software and service they need to deliver great HR and a strong, engaged company culture. 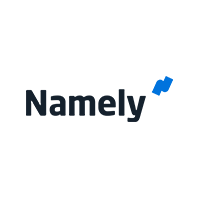 Namely is used by over 1,000 clients with over 200,000 employees globally. Headquartered in New York City, the company is backed by investors including Altimeter Capital, GGV Capital, Matrix Partners, Scale Venture Partners, Sequoia Capital, Tenaya Capital, and True Ventures.